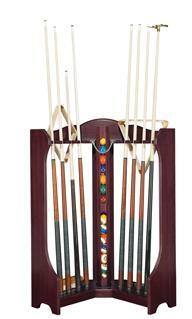 The unique space-saving corner design of the Brunswick corner cue rack holds up to eight cues. Available in chestnut and traditional cherry finishes. Free standing. 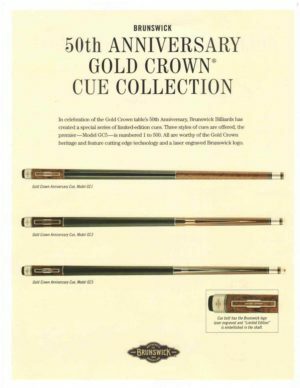 Prices shown are Brunswick MSRP USD. See in store for Canadian Pricing. 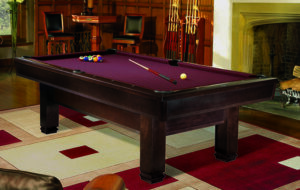 Hallmark Billiards is Canada's largest authorized dealer for Brunswick Billiards and Olhausen Billiards pool tables. 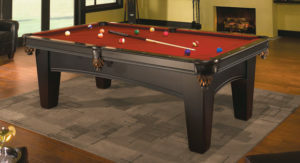 For over 25 years we have been providing Toronto and the Greater Toronto Area with quality products and games room furniture in our 3 large showrooms.